The widening and reconstruction of 1.68 mi. of Buford Highway (State Route 13) in the city of Buford, a $16.7 million Georgia Department of Transportation project, is scheduled to be delivered by E.R. Snell Contractor Inc. in June 2020. The project, while small in scope, has it all — relocations, impacts to historic property — and only by working with local governments and community business owners can this project be completed. E.R. Snell was awarded the project, which extends from Sawnee Avenue in Gwinnett County to Friendship Road in Hall County, in June 2016. The work involves expanding the road from one lane in each direction to two 11-ft. lanes in each direction, with a 20-ft. raised median, 12-ft. urban shoulders, curb and gutter, and the addition of sidewalks on both sides of the road. 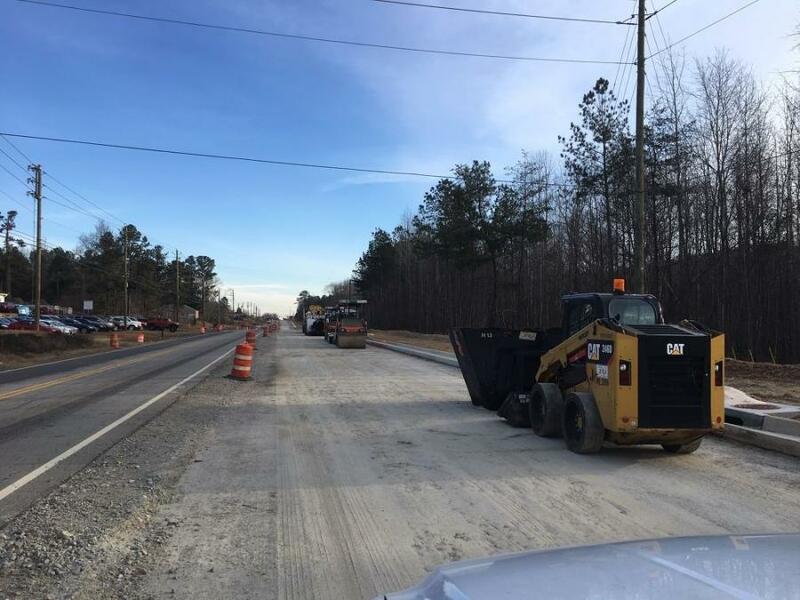 "We make sure that information sharing is one of the first things we do when it comes to widening well-traveled routes like SR 13," said Katie Strickland, GDOT spokeswoman for the Northeast Region. Work on the urban divided highway started in early August 2016. It affects major intersections at Sawnee Avenue, City Hall Street, Roy Carlson Boulevard, Holiday Road, and Friendship Road, with the intersections at Sawnee and City Hall being signalized. Side streets, one lane in each direction, are being affected, with Thunder Road being relocated. Holiday Road at its terminus with Buford Highway is being realigned. Public meetings during the planning and preconstruction phase on the project were held in 2011 and 2012. Federal, state and county funds were appropriated for this project. "This section of SR 13 spans through two urban counties, who in the last decade has seen exponential growth," said Strickland. "This project aims to relieve congestion and increase the flow of traffic and provide pedestrian sidewalks. With Georgia DOT, we treat safety as our No. 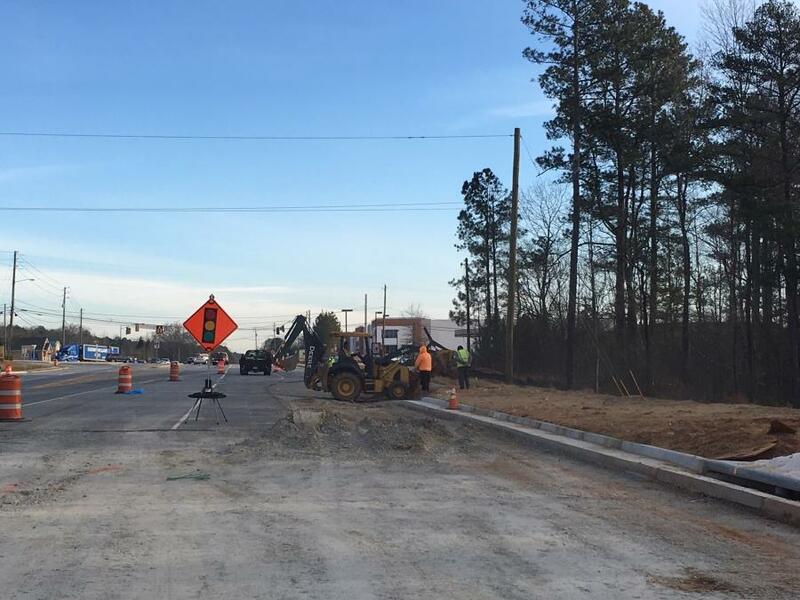 1 one priority, and there are some specific intersections improvements that we worked together with the city of Buford on in order to signalize SR 13 at Sawnee Avenue prior to major clearing." 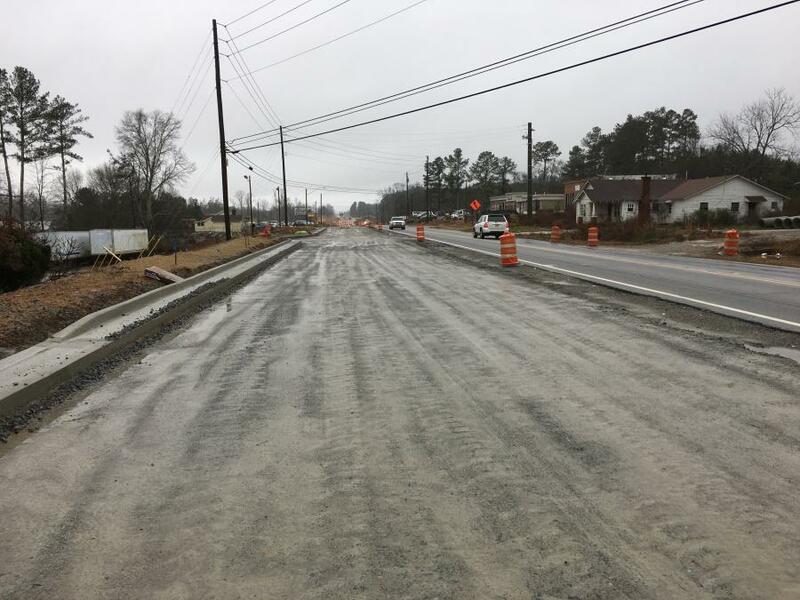 Moreland Altobelli Associates Inc. designed the new road infrastructure, which, in 2018, prior to the work, carried 15,800 vehicles daily. The new road will be able to carry 2,280 vehicles per hour and meet traffic demands for the next 20 years. "We design projects with a 20-year traffic forecast, meaning we have considered the traffic growth for this corridor though 2038," said Brent Cook, GDOT engineer for the Northeast Region. The traffic management for the multiyear project calls for scheduled lane closures in coordination with specified contract times. GDOT uses an interactive map through its Traffic Management Center (TMC) to record all project traffic interruptions. Drivers can view these maps by visiting www.511ga.org. E.R. Snell crews have completed approximately 73 percent of the grading, 31 percent of the GAB and 23 percent of the curb and gutter. The road reconstruction is taking place in three phases, noted Strickland, and E.R. Snell crews are still engaged in the first phase. "We've had a rainy winter season, but it's not affecting the scheduled completion date," she said. Work to widen the corridor continues daily, with lane closures allowable between 9 a.m. and 4 p.m. Contractors also are available to work as needed seven days a week. Specific restrictions are in place to prevent extreme delays, and local media and school systems are notified of the work in advance. The amount of material to be removed and brought in is still being tabulated. E.R. Snell recycles material as much as possible, be it asphalt or concrete. The general contractor, when doing road projects, uses Link-Belt and Kobelco cranes, and excavators, dozers, loaders, backhoes, motorgraders, rollers, and pavers from Cat, John Deere, and Komatsu. Equipment is purchased from various dealerships in Georgia. Overall wear and tear runs the gamut of standard issues, such as parts and teeth, roughed-up edges, and tires, and most repairs are done within a day.